If you get a DWI or DUI in La Plata, your first call should be to a criminal lawyer who can help you through the case. Although the penalties you could face will vary greatly depending on previous offenses and whether there were any injuries or damages involved, a lawyer can help you protect your rights and argue for reduced license suspension periods and reduced criminal charges. In Maryland, these cases are held in two separate courts: MVA hearings and criminal court. At an MVA hearing, your license can be suspended and the judge can order that a breathalyzer device be attached to your car. In criminal court, you can face jail time. 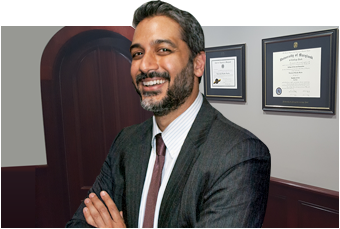 Having an attorney on your side through each stage of the process is essential for achieving the best outcomes. In this infographic, The Law Office of Hammad S. Matin, P.A., a criminal defense lawyer in La Plata, explains Maryland DUI and DWI cases. Please feel free to share this important information with your family and friends.